The Sabetha Health & Wellness Center is changing every day. Masonry work is almost complete on the exterior and the general contractor (AHRS) is working to enclose the structure. Even though weather hasn't been on their side, AHRS said they are still on track for an early summer completion date. 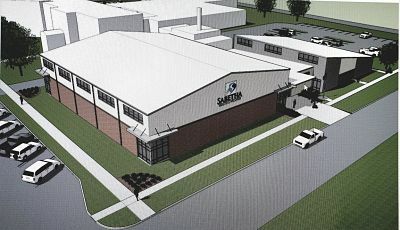 Keep up-to-date with all the happenings at the facility by "LIKING" the Sabetha Health & Wellness Center Facebook page.